Growing up in Europe during the Cold War, the now-40-something Katherine McLane said her family emphasized following current events and paying attention to the news because their lives could depend on it. Today, she owns a public affairs and strategic communications firm in Austin that allows her to focus on the things she was so interested in during her adolescence. But like many 20-somethings, Katherine wasn’t sure what she wanted to do after she graduated college from Texas A&M University with an English degree. “My parents… wanted me to become a teacher like them, [but] I didn’t feel that was the right path for me, so I got a job waiting tables at Chili’s,” she said. Katherine said, looking back, she’s glad she didn’t follow her parents’ advice because, despite their best intentions, in her heart, she knew being an educator—or a flight attendant as her grandmother suggested—wasn’t what she was meant to do. When she took a job early on in her career at Public Strategies, an Austin-based public affairs firm, Katherine asked her boss and now-lifelong mentor Mark McKinnon how he figured out what he was going to do as a career. But there was a time in Katherine’s life when she didn’t even dream of having a professional career. As the daughter of a Fulbright Scholar, she grew up in Germany. Her father, an American, had switched jobs with a German educator for a year, and after that year was done, her parents loved the country so much, they decided to stay for an extra 11 years. Katherine didn’t become a housewife—and she even found a use for her German-speaking skills. “I never thought speaking German would come in handy professionally until I worked for the only native German-speaking governor,” she said. It was while working for Gov. Arnold Schwarzenegger that Katherine learned a lesson in persistence. Katherine said she was encouraged to be “as persistent as [she] could possibly be” to get where she wanted to be in her career. She continue her career as press secretary for the US Department of Education during the Bush administration and as chief communications strategist and spokeswoman for the Livestrong Foundation. 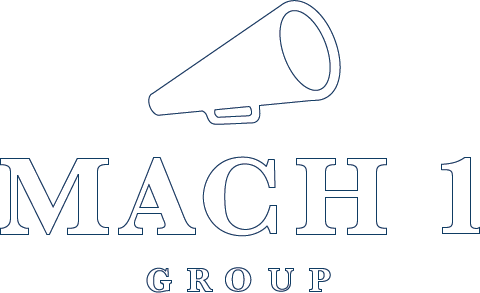 In 2013, Katherine created Mach 1 Group where she continues to work today, advising clients with strategic communications and public affairs needs. Katherine and her husband live in North Austin with their two sons, Jack, 8, and Ian, 2. The 40-something mother and career woman seems to have it all, but she cautions 20-something women against racing against the clock. Katherine’s other advice for 20-somethings? Take risks and be assertive.